A heartbreaking novel from the bestselling author of The Four Streets. Noleen Delaney is one of an army of night cleaners at St Angelus Hospital. Son Finn has done something unheard-of and passed his Eleven Plus exam. How on earth will they pay for his books, his grammar school uniform and shoes? Bronia Ryan has battled depression since her husband died and now one of her sons is in prison. Her youngest, Lorcan, wants no part of a life of crime, but how can he ever escape? Or protect his mother from her vicious eldest son? As usual, St Angelus is at the heart of things. 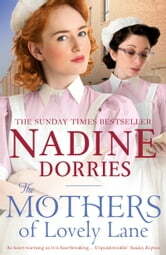 Life and death, love and loss, jealousies, rivalries and betrayals are woven into a rich tapestry in Nadine's great series about poverty, sacrifice and community spirit in post-war Liverpool and the early days of the NHS. Can't wait for the next one? CHRISTMAS ANGELS is out now! Such an excellent book full of twists and turns, ii was truly gripped from the 1st chapter, can't wait for tyhe next instalment. 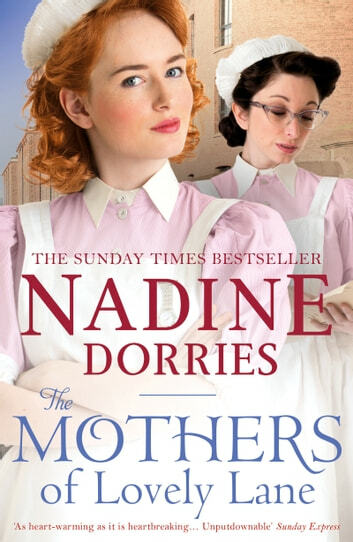 Nadine Doris is an author who knows how to tell a story and keep the reader absorbed from start to finish, I don't like the books comiing to an end. Thoroughly enjoying the continuing story of St Angleus Hospital and the stories about the lives of the staff and community as they struggle against hard times post WW2. Interesting to learn about the running of a hospital at that time as compared to today.